What stands between you and living an authentic Spirit-filled life? Do you want to experience the Holy Spirit more but are afraid of what that truly means? 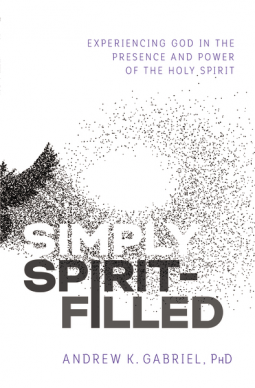 In Simply Spirit-Filled, internationally acclaimed theologian Andrew Gabriel says if you want to experience all the Holy Spirit has to offer, you must become more aware of the ways the Spirit is already quietly at work in and around you. By blending theology, practical steps, and a touch of humor, this book brings clarity to praying in tongues, spiritual gifts, dreams and visions, and miracles. Simply Spirit-Filled is a biblically rooted and well-informed introduction to some of the basics of the charismatic tradition. What a great and simple read about the Holy Spirit! While oriented towards those familiar with the Pentecostal/Charismatic tradition, it would be a great introductory read for anyone from any church background. I strongly encourage anyone to read this book. Andrew Gabriel writes an accessible and scripturally accurate read. I really appreciated reading about the author's personal experiences with the Holy Spirit, and hearing of his initial skepticism. I also like that his writing comes from a highly intellectual and intelligent perspective. I felt that I could clearly understand his arguments for what he believed, even when I didn't fully agree. I received a free copy of this book through NetGalley in exchange for an honest review.